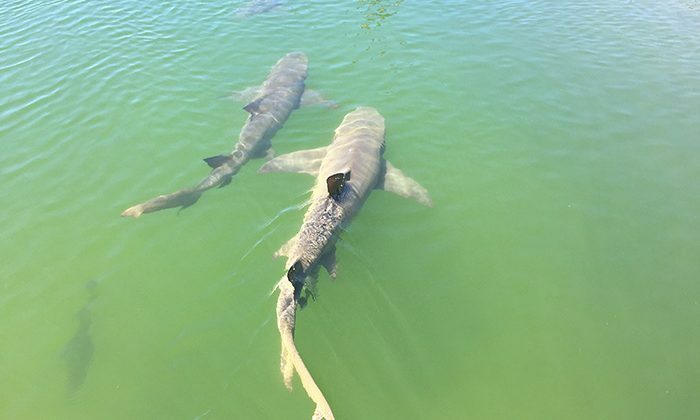 A UNESCO World Heritage Site, Shark Bay has the largest and richest area of seagrass meadows in the world. 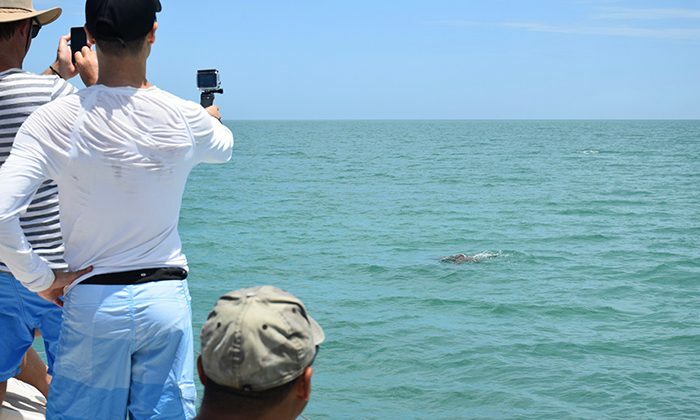 This makes it home to the world’s largest population of dugongs, as well as a thriving population of sharks, turtles, whales, rays and dolphins. 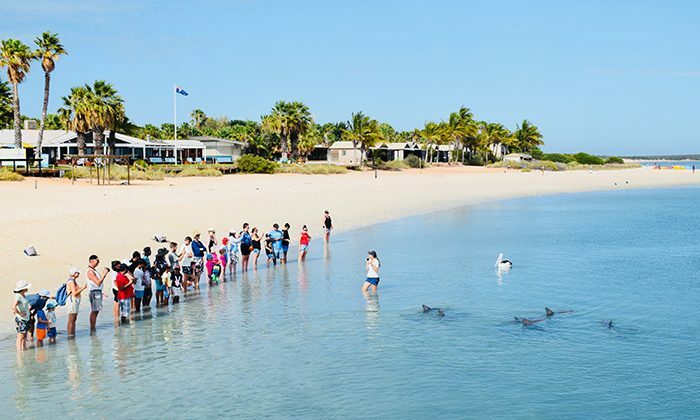 From your base in Denham, visit natural attractions like Shell Beach and the stomatolites in Hamelin Pool, and pop over to Monkey Mia to see dolphins swim off the beach. Don’t miss the last sunset on the continent as you sail the turquoise waters on a catamaran. Length of Trip : 2-4 days, depending on what you plan to get up to. We enjoyed a couple great meals at the iconic Old Pub in Denham, attached to the Shark Bay Hotel. We had a blast at The Shark Bay Hotel, a friendly local institution steps away from the beach, groceries and the best pub in Denham. Shark Bay is about a 9 and half hour drive from Perth. 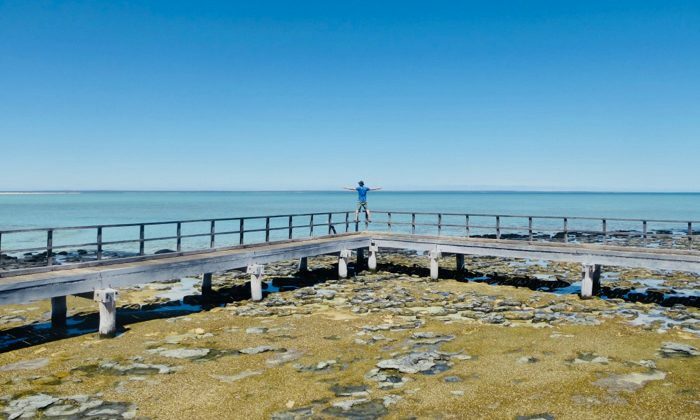 There is a local airport located 8km from Denham, and around 16km from Monkey Mia on the Monkey Mia Road, with several flights a week from Perth and also Exmouth. Although the road north is long, flat and hardly busy, watch out for some overzealous cops (we got the only speeding fine on our whole trip outside of Binnu, and we weren't even speeding). Shell Beach is remarkable, well worth the stop. The stars in this part of the world are fantastic. 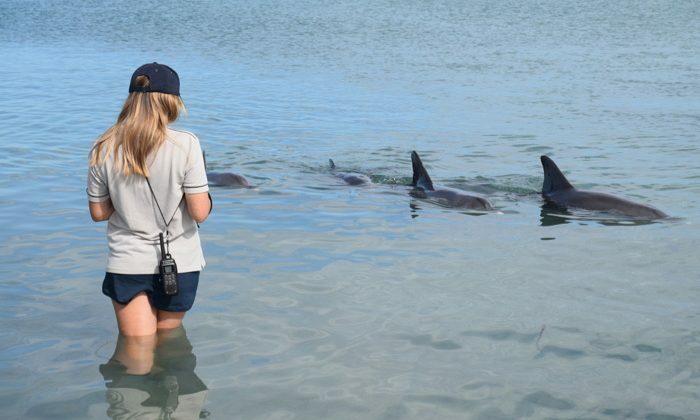 We found the dolphin encounter in Monkey Mia disappointing, which has everything to do with expectations and nothing to do with the dolphins. Definitely worth stopping at the Ocean Park Aquarium, especially if you're with kids. 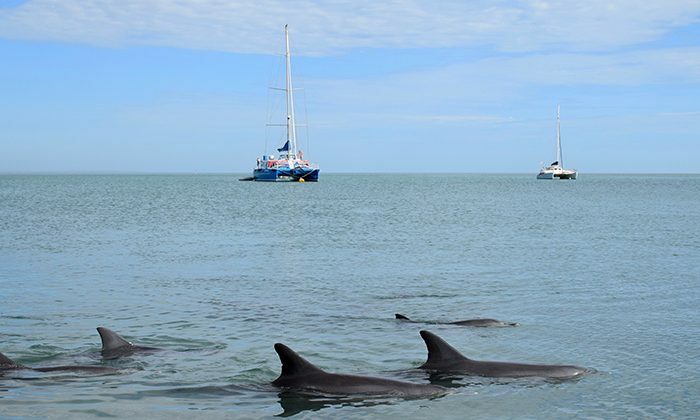 The living is fine on a morning or sunset sailing cruise in Shark Bay, and so are the dugongs! 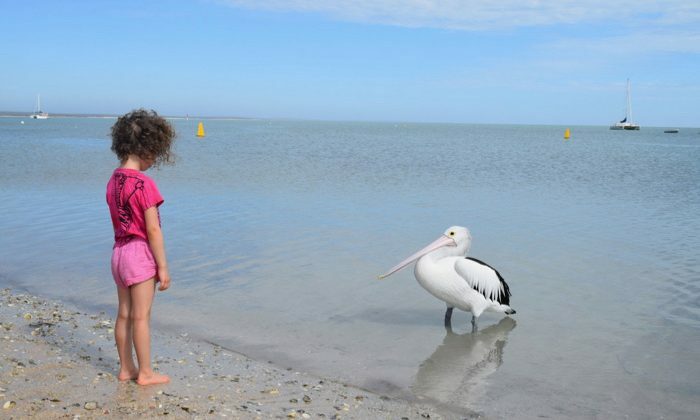 Does Shark Bay belong on the Australian Bucket List?